With a growing skills shortage in cyber security, Los Angeles technology bootcamp Sabio is launching a cyber security bootcamp in addition to their well-established web development program. Experienced IT and security professional Gwenique Williams recently joined Sabio to build and teach the new curriculum. 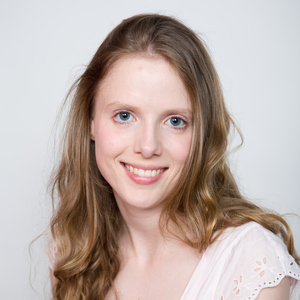 Gwenique tells us what technologies and skills the program covers, why background checks and security clearances can be important when working to protect sensitive or confidential information, and what sort of companies are hiring for various cyber security roles. What’s your background and experience? How did that lead to you joining Sabio? I first enjoyed coding in fourth grade when my math teacher taught us Dot programming language. Growing up, I learned how to program a Texas Instruments computer, and how to use programs like Wordperfect and Soft Pro, which led to some great part-time jobs throughout high school. I studied IT Administration and Management at UC Riverside, but didn’t initially finish that degree. My husband was a programmer and electrical engineer for the Navy and wanted me to stay home with the kids. When my first child was five, I realized I still loved computing, and taught myself enough to get jobs in technology training at CompUSA and SBC Pacific Bell (now AT&T). I eventually worked full-time in training and operations management at AT&T for 16 years. They also paid for me to finish my IT degree. I eventually left AT&T and started working with government contracts. Over time, working in IT systems, I had realized the importance of cyber security, so I went back to school to get my master's degree in Cyber and Electronic Operations and Warfare. 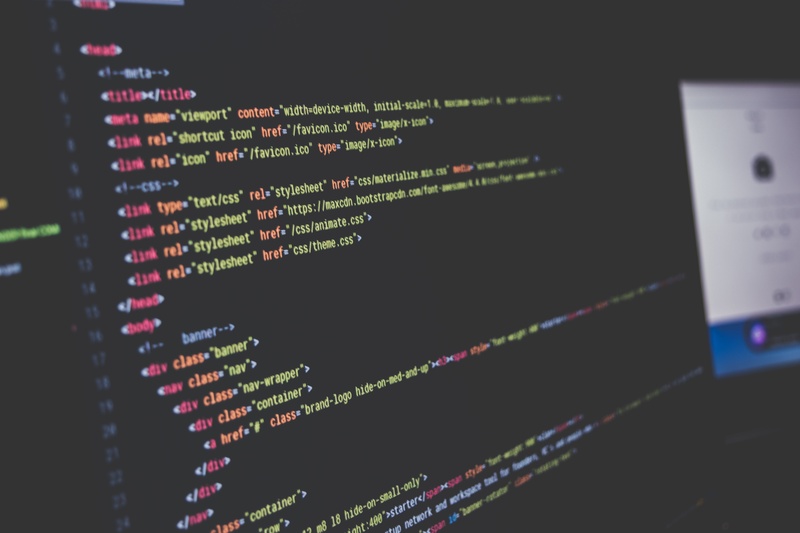 Because you have a traditional undergrad and masters degree, what did you initially think of the coding bootcamp model? Right now there are 300,000 unfilled cyber security jobs – there just aren't enough skilled candidates to fill those positions. So I thought the idea of a bootcamp was amazing. Cyber security should work in conjunction with any IT position because these threats can affect any IT network. Students these days already have a lot of hands-on experience with the internet. At Sabio, we can give them the skills to help organizations prepare for attacks on their network or protect themselves from internal or external threats. Having worked in cyber security, do you think this is a skill that can be taught in a coding bootcamp? Sabio wants to meet the needs of the tech community and open up a new career option for their students. Right now, there are a lot of individuals who would love to go into cyber security, but maybe they can't afford to pay for a bachelor's degree, or they don't have the time. Other people are looking for a career change and this course could be it. Cyber security is a field where you can learn the key concepts, demonstrate your skills, and be immediately hired. Which Cyber Security technologies and skills will the Sabio program cover? I'm currently enrolled in a Cyber and Electronic Operations and Warfare master's program, so a lot of the curriculum is inspired by what I’ve learned. Sabio is focused on getting students to master the hands-on aspect of the cyber security field. We'll start off at a high level with an intro to cyber security because we don't assume that anyone knows what cyber security is. We go over some of the basic concepts and why we need it. Then we will define what security management is, talk about risk assessment, how to identify threats, and some of the existing vulnerabilities today. Security refers to protecting your network inside of an external network. In protecting it, you want to make sure that each person working at a company understands that. Otherwise, an employee could not understand the risks that are involved with email, how attacks occur, and how to do risk assessment tests. Students will learn to protect a network through ethical hacking, so we will have students sign a disclosure about ethical hacking. We'll touch on VMWare, cloud networking, AWS, and a little bit about Linux and Windows operating systems. So programming will be a part of the cyber security curriculum? Yes, mostly because you need to know how to scripts to listen in on a network through the command line. We can do some testing using scanning software like Nessus or Wireshark. We will probably teach students some of those tools, but we also want to teach them how to program. If we rely solely on a tool like Nessus or Wireshark, then we’re relying on the tools working properly. You mentioned ethical hacking – how do you teach students to be careful with their new skills? A cyber security professional will likely involve getting access to confidential or sensitive information, and logging into other users’ computers. We teach students that they must always get proper authorization and understand that the tools and techniques they are learning are similar to teaching someone how to break into someone's home or their car. These techniques can be against the law if you're not practicing them ethically. That can be shocking to some students at first. We also have to make sure that the students we admit to Sabio are suitable for these sensitive tasks. Are there any prerequisites to take the cyber security course? Do applicants need security clearance or a tech background? First, we will be hand-picking the students, and students will need to sign disclosures. A lot of veterans who come to Sabio actually already have security clearances, which is really good. Most jobs in cyber security do require some form of security clearance. You’re not allowed to have a criminal background in a lot of InfoSec jobs, so that is something that we will easily screen for through background checks. As an instructor, and because of my own background, I don’t think applicants necessarily need any prior tech knowledge. They just need to be ready to learn everything that they possibly can and be willing to study on their own too. If they do have a technical background, it will be easier for them to understand these concepts. For example, a programmer can create scripts. But for someone who doesn't understand programming, we’ll teach them the basics of Linux, basic commands, how to create a file, and some Bash. Will students be learning cyber security through lectures or projects? For example, we’ll learn about Amazon Web Services (AWS), and then use our own network access to use AWS or VMWare and do penetration testing. Will Sabio cyber security students work on real client projects as part of the course? We are working to get clients and government contract that have a need for protecting their data or training their staff in cyber security. Students can work with clients remotely or on-site to do hands-on work, based on their client’s needs. Really great students may be ready to go on site to the client's office, and Sabio would support those students to make sure they are up to speed on the client’s software and needs. There are so many companies who have a need for cyber security, but they don't have the budget to hire a full-time role. You had a lot of training experience before you joined Sabio. What’s your own personal teaching style? I have trained beginner, intermediate, and advanced students. I really enjoy breaking a topic down to the point where it's so simple that anyone could make sense out of it. Sometimes that can be a little bit frustrating for someone who is extremely advanced, so I will tailor the lesson based on who's in the class. Overall, I’m trying to teach students that they now have the keys to some very powerful skills that they need to use appropriately. What is the goal for a student who graduates from the Sabio cyber security bootcamp? What sort of jobs can they get and will they get any kind of certification? There are different types of roles that require cyber security skills, so we’ve designed the curriculum by looking at requirements in unfilled job descriptions. I’ve looked back at every job I've ever applied for and thought about what they were looking for, so that we’re teaching Sabio students exactly what they need to get jobs in cyber security. There are a lot of different jobs out there that require the skills we are teaching. You could work in penetration testing, or do training for a company, or you may be printing reports that another department implements patches for. These include Technical Analyst Information Security Control, Transport Engineer, Cyber Security Threat Analyzer, Infrastructure Project Manager, Fiber Security Analyst, Technical Support Representative, Cyber Security Consultant, and more. Some of the jobs are permanent where they want you in-house, or they might want you on a short-term contract. There are a few different certifications out there, but our goal is to eventually get students certified as CISSP (Certified Systems Security Professional) Security Engineers or similar. What sort of companies need these cyber security specialists? Every company needs cyber security! AT&T has a lot of open positions in cyber security. Others include the Pacific Gas and Electric Company, GE, and just about any company that has an IT department. Healthcare departments or some research companies are now being required to hire cybersecurity staff because they have so many documents which, based on HIPAA, have to be protected and secured. If you have a security clearance, organizations like the CIA are looking for individuals with cyber security skills. A website called clearancejobs.com is great for people who have military backgrounds to find cyber security job listings. A lot of cyber security tasks are becoming automated with artificial intelligence, but companies still need individuals like us to actually program all of these robots and maintain them. For an individual who is looking for a new career where they can learn, get paid well, and keep doing on a long-term basis, this is the way that our world is going. How will Sabio help students to find jobs in cyber security? We will do mock interviewing to give students an idea of the questions they will be asked during an interview. We’ll assess resumes to make sure they show all of the skills they learned at Sabio and their past experiences. We also teach soft skills. It's one thing to understand how the computer works, but it's another thing to deal with how human beings work. It’s very important to have a good understanding of body language, how the corporate workforce operates, how to fit in, and work in a team. I’ll teach a team lab where students work in groups of 2-3 people on an attack-prevention scenario. Are there meetups or intro classes that you suggest for beginners in cyber security? 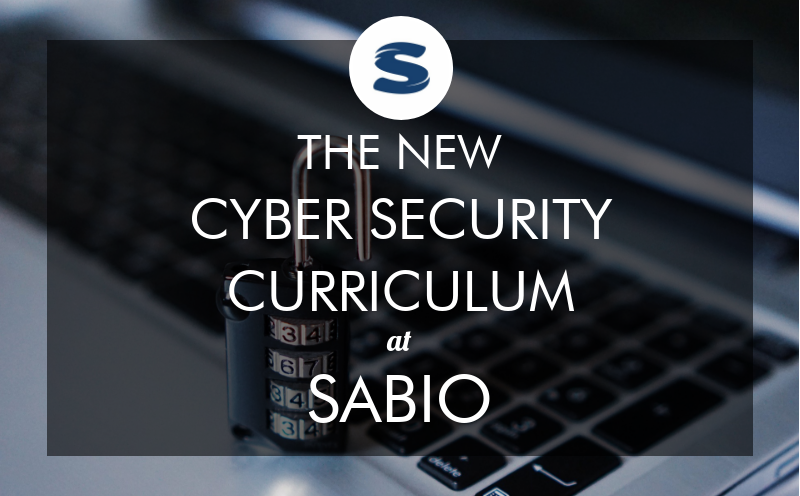 At Sabio, we host Saturday classes from 9am to 5pm to introduce prospective students to cyber security.